The partition of India in 1947 not only divided the geographical map of the Subcontinent, it also cut across the human psyche on both sides of the border, to such an extent that the communal strife and riots of 1947 continue to occur in India even today. Shamoil traces the dehumanizing impact of this historical event. 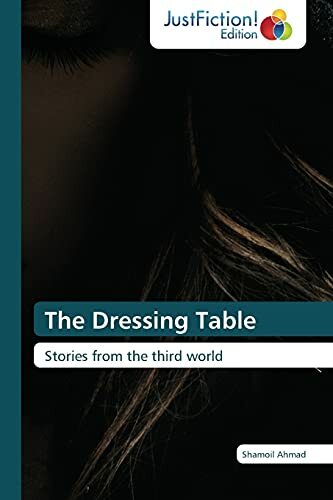 ‘’The Dressing Table “ is an offbeat story advocating the reality that the objects we think are lifeless, sometimes absorb human vibrations and energy to the extent that they can influence human lives. An age old dressing table of a prostitute is looted by a rioter. That dressing table soaked with eddy currents of prostitution from generation to generation generates the same in the home of that rioter and the behavior of his daughters and wife starts changing. In the stories from the third world Shamoil confronts issues relating to emotional health and vitality, spontaneity, human sexuality and instinct. He probes through symbol and suggestion beyond the external façade of his characters and enters the complex emotional and psychological inner terrain of the human being. Shamoil Ahmad [born 1945] is a distinguished bilingual fiction writer of India.His collected works represent an extended reflection upon the dehumanizing effects of modernity and globalization. Shamoil is a graduate in civil engineering and worked as chief engineer in the Department of Public Health Engineering of the Government of Bihar, India.